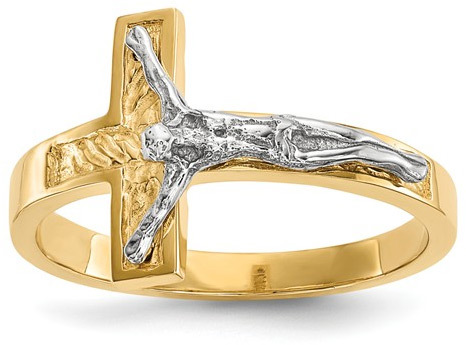 High quality, textured crucifix ring for women crafted in 14k two-tone gold. 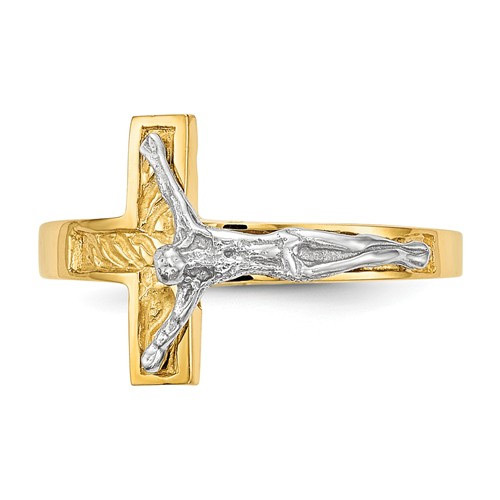 The ring is made in yellow gold with a beautifully textured backdrop which houses a depiction of the Lord Jesus on the cross in white gold. "He that believeth on the Son hath everlasting life: and he that believeth not the Son shall not see life; but the wrath of God abideth on him" (John 3:36). Salvation is simple: put your faith on the Lord Jesus Christ and believe in His substitutionary, blood atonement for your sins. Available in women's sizes 4.5 - 8. 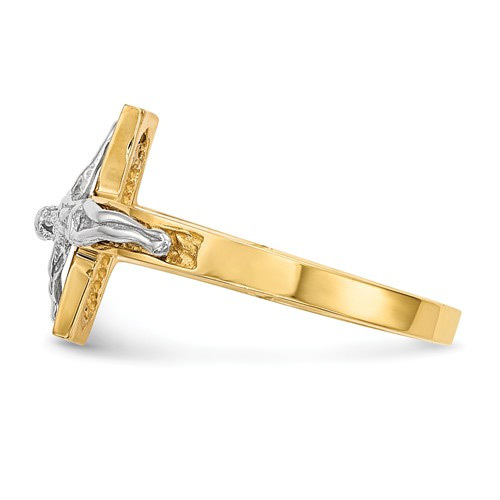 We guarantee our Textured Womens Crucifix Ring, 14K Two-Tone Gold to be high quality, authentic jewelry, as described above.